A stream carrying motorsport channel Motors TV has gone offline, leaving Freeview viewers without access to the channel. 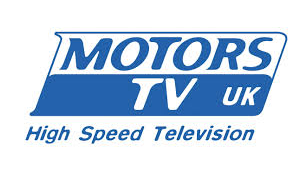 Motors TV on channel 240 has been part of a group of channels streamed via the internet to compatible connected Freeview devices. The channel's normal output has been replaced by a testcard. The channel has had a turbulent couple of months, with its regular over-the-air transmissions on Freeview channel 71 ceasing without warning on 1st February and its outlet on Sky disappearing for a week, again without prior warning, much to the annoyance of viewers. UPDATE 31/03/2016 : After a week of silence on the issue, Motors TV has confirmed it won't be coming back on Freeview channel 240. Meanwhile, streamed service Showcase (channel 254) is back to showing its own programming. For the past two months, the service has simulcast country music channel Keep It Country. The change happened when Showcase gave up its previous slot on satellite to make way for Keep It Country. Earlier this week, the channel returned on satellite, and has now restored its Freeview outlet.